Kambhoji’s is not a linear scale to be given just as SRGMPDS/SNDPMGRS. Rather it is/was SRMGPDS/SNDPMGRS. The madhyama and gandhara svaras are vakra and the lineal progression SRGMP is very very rare or was even totally eschewed in olden times. The kakali nishada(N3) is very alpa/rare in usage and is probably a post 1800 development. N3 appears more as an anusvara of the tara sadja during a direct descent to the pancama. In other words, in modern parlance, Kambhoji was upanga & not bashanga. Even today a complete Kambhoji can be presented without using N3. Another related aspect is the way purva prasiddha ragas like Kambhoji, must be understood and sung. It is my understanding that these ragas ( other examples are Sankarabharanam, Bhairavi, Samantha etc) are not bound by the conventions and strictures that abound in today’s modern musicology. For example they cannot be delineated and understood by just an arohana/avarohana or by mere linear progressions of notes as demanded by the Melakarta scheme. It is a shadava sampurna raga. S R G M P D S/ S N D P M G R S is the arohana and avarohana under the Kedaragaula/Harikambodhi raganga/mela, with kakali nishada (N3) as anya/bashanga svara which appears in sancaras such as SN3PDS, N3PDS where ” is the downward glide or jaaru gamaka. A rakthi raga par excellence, Kambhoji has been found in the Tamil pann system as well, known as “Takkesi”. Kambhoji is famous in musicology for an altogether different reason. Venkatamakhi went hammer and tongs at Ramamatya for his having said in the Svaramelakalanidhi that Kambhoji sported only the kakali nishada. For this blog post let’s first look at what Kambhoji was till circa 1750 the notional cut-off year by which perhaps the asampurna mela scheme must have been formulated by Muddu Venkatamakhi/Venkata Vaidyanatha Dikshitar. The key operative words thus are ‘ma ni vakritah’, meaning madhyama and nishada are vakra in the arohana. 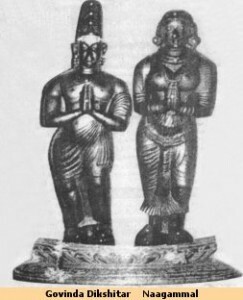 The Anubandha to the CDP as well as the lakshana shloka that Subbarama Dikshitar gives as Venkatamakhi’s in his SSP are considered as post 1750 works attributable to Venkatamakhi’s great grandson Muddu Venkatamakhi/Venkata Vaidyanatha Dikshitar. What has been considered above is the shloka found in the CDP as edited by Pandit Subramanya Sastrigal & published in Sanskrit. As we will see latter, the CDP’s Anubandha as well the shloka found in the SSP varies from what was actually said by Venkatamakhi in the original CDP. Madhyama was vakra or varja in aroha phrases and Ni was varja. Or in other words the purvanga portions of the raga’s murcchanas didn’t have the lineal SRGMPDS at all. The nishada of Kambhoji was undoubtedly kaishiki only and kakali nishada was not used at all. As pointed out earlier, Venkatamakhi in his CDP had castigated Ramamatya in severe terms for his having documented in the Svaramelakalanidhi that Kambhoji sported the kakali nishada.² We have no means of going into that controversy as it may truly have been so & in that period between Ramamatya and Venkatamakhi ( ~100 years), Kambhoji’s nishada might have morphed. Or it could also be the case of printer’s devil or rather copyist devil. While the recital in the original CDP goes as “Ma Ni Vakritah”, the anubandha shloka talks of Kambhoji being “Ga Ni varjitah”! Was it by chance “Ma Ni varjitah” & probably some copyist erred in reproducing it? Again we will never know for sure. And so this confusion is there, etched in history for ever! Also there is no mention of usage of kakali nishada in this shloka. So according to Muddu Venkatamakhi (the author of the CDP Anubandha ) Ga and Ni are vakra in aroha phrases. And now per the SSP version of the shloka kakali nishada also appears appropriately in Kambhoji ! Subbarama Dikshitar in his SSP commentary skirts the issue. He says that the murcchana arohana/avarohana is SRGMPDNDS/SNDPMGRS. His representation gives the workaround for the nishada varja definition but none for M1 which appear as a straightforward sequential svara in the arohana as SRGMP. Also in all fairness, Subbarama Dikshitar to keep the record straight makes the reference to Venkatamakhi’s definition (in the CDP) of madhyama being varja in the arohana, but he does not develop/dwell on it further much to our disappointment. So for us the other interesting aspect is the second added line (not found in the CDP Anubandha) which talks of Kambhoji also sporting kakali nishada and thus becoming bhashanga in modern day terms. We have no clue as to Subbarama Dikshitar’s source for this ‘modified’ shloka with the extra line pertaining to usage of kakali nishada. But nevertheless, it provides documented authority for us, for the first time in Kambhoji’s musical history, that kakali nishada is used in its sancaras, laying the foundation for modern day Kambhoji. Govinda’s enunciation of Kambhoji’s raga lakshana is clear as to nishada alone being vakra and again there is no mention of kakali nishada being used. Given the facts we have today, it wouldn’t be far from truth if we were to state that the modern day Kambhoji has its roots in the lakshana as propounded by Subbarama Dikshitar.